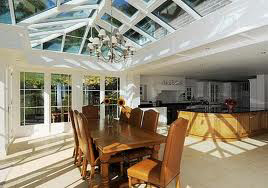 One way to extend your home , if you are lucky enough to have the space & the budget, is to build an Orangery Conservatory on your property. But before you rush off to buy one, it would be prudent to do some kind of checklist for the things you need beforehand. As a decent sized home extension that will cost between £10,000 to £20,000 or more (if you are really going upmarket) its worthwhile taking you time to think a little before leaping into action.